You see, whilst I'm not paleo (because pasta = life), I have a SERIOUS obsession with paleo baked goods... particularly paleo breads. Every time I tell you this, the list of recipes gets longer... now there's The BEST Healthy Paleo Banana Bread Recipe (which has so many forms because it's also become; Paleo Pumpkin Bread Recipe, Paleo Zucchini Bread Recipe, Paleo Carrot Cake Recipe, Paleo Chai Spiced Nut Bread Recipe, Paleo Carrot and Zucchini Bread Recipe, Healthy Paleo Chocolate Zucchini Bread Recipe and this One Bowl Healthy Paleo Lemon Bread Recipe) and then there's this Paleo Garlic and Herb Bread Recipe. 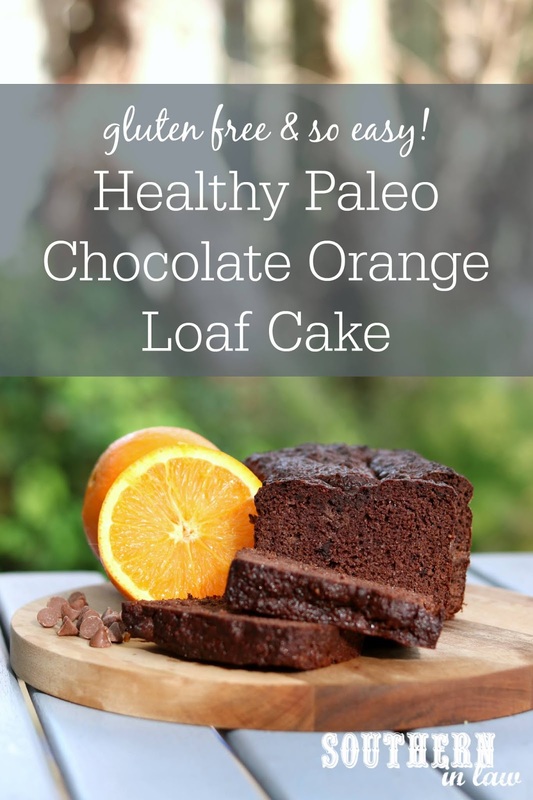 Enter this Paleo Chocolate Orange Cake Recipe. In our house, we've been calling it a Jaffa Cake because it tastes just like a jaffa - rich and chocolatey with a hint of orange. It's moist and delicious and seriously easy to make. All you need is one bowl, a few minutes of your time to mix them all up and an hour to bake. Before you know it, your home will smell like heaven and you'll have a loaf of deliciousness ready to devour. 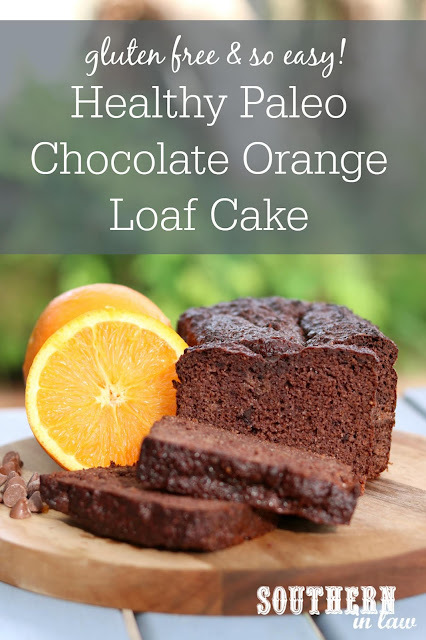 And, you might be like I used to, thinking that chocolate and orange is a HORRIBLE combination that should not exist... but this recipe might change your mind too... it certainly changed mine! In a medium mixing bowl, combine your applesauce, honey, vanilla extract, melted butter/oil, eggs and orange juice and zest. Mix in your coconut flour, cocoa, baking soda and almond meal and allow to sit for two minutes. The mix will look really runny at first, but the coconut flour will soon absorb the liquid and form a thicker batter. Pour your lemon bread mixture into your prepared loaf tin and bake for 30 minutes before place a piece of foil over the top (just place it, don't wrap it) to stop the loaf from browning and then baking for a further 20-30 minutes or until your loaf is cooked through and a skewer inserted into the middle removes clean. If your bread is browning too quickly but isn't cooked in the middle, cover it with foil. We find this cake keeps best in a sealed container in the refrigerator and it will keep for 2-3 days. You can also freeze the slices by wrapping the slices individually and storing them in a sealed zip lock bag in the freezer. *If you like your baked goods really sweet, increase this to 1/2 cup. You can also use equal amounts of maple syrup. **If you want your cake to have a really strong orange flavour, use the juice and zest of a whole orange, however, I found half an orange to be the perfect amount. 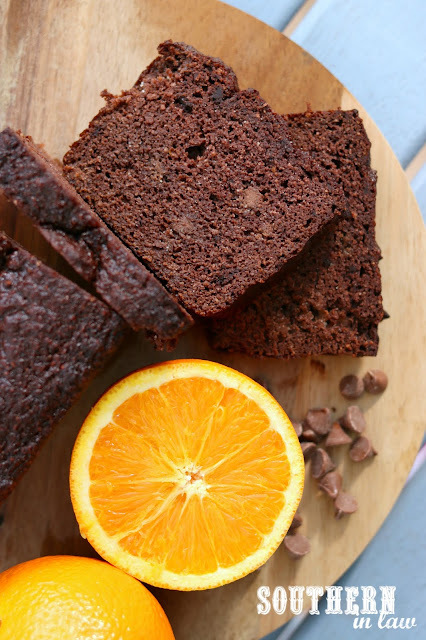 Chocolate and Orange, yay or nay? And if you were going to start a blog that covered JUST ONE THING, what would it be about?